​Cy Benson is a U.S. and English qualified partner in the London office of Gibson, Dunn & Crutcher and serves as Co-Chair of the firm’s International Arbitration Practice Group. Mr. Benson represents clients in commercial and investment treaty arbitrations under all major institutional rules arising from a wide variety of industry sectors, with particular emphasis in oil & gas, mining/minerals and infrastructure. He is experienced in complex litigation and has significant trial and appellate experience in U.S. federal and state courts. 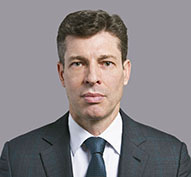 His recent representations include advising a major oil company in a $1.5 billion ICC arbitration arising from divestment of an Eastern European refinery, pipeline and export company; a US energy company in a high value ICSID arbitration arising from the termination of a geothermal concession by an African State; and a major oil company in multi-billion dollar claims for expropriation under the Energy Charter Treaty. Mr. Benson has represented financial institutions in disputes concerning derivatives, alleged predatory mortgage lending practices, and the demise of Enron. He has also represented corporate clients in shareholder class action litigation. Mr. Benson is ranked as a leading lawyer for International Arbitration in the 2007-2019 Chambers and Partners UK Guides, in the 2010, 2014-2019 Chambers and Partners Global Guides, and in the 2009-2019 editions of Best Lawyers International in the UK. In addition, Legal 500 UK 2019 recognised Mr. Benson for International Arbitration as well as recommending Gibson Dunn’s International Arbitration Practice generally (the publications recently cited him as being “an effective advocate” and “among the best-regarded practitioners in the market).” He is “highly recommended” for Dispute Resolution: Arbitration in Practical Law Company’s Which Lawyer? (2007-2012), is listed as an expert in Arbitration in Who’s Who Legal 2015, and is identified by UK Legal Experts 2012 as an expert in the field of Arbitration. He has also been recommended for Dispute Resolution: International Arbitration in Chambers Europe. Mr. Benson is a frequent speaker and writer on arbitration topics, was a member of the IBA Task Force on Party Representation in International Arbitration and also sits as an arbitrator. Prior to joining Gibson Dunn, Mr. Benson was co-head of the London international arbitration group at a U.S. law firm. Client Alert - January 8, 2014 | Will Africa Be Lit By “BITs”?